The Potawatomi Zoo in South Bend is mourning the loss of Ivory, a beloved 18 year old white Bengal tiger, who was humanely euthanized March 30 after a period of physical decline due to old age. “A decision like this is never a simple one, but after assessing her quality of life and consulting with two veterinarians who unanimously agreed upon this decision, we are confident that it was the right one for her,” stated Josh Sisk, the zoo’s general curator. Bengal tigers are primarily found in India and it is estimated there are fewer than 2,500 Bengals left in the wild. 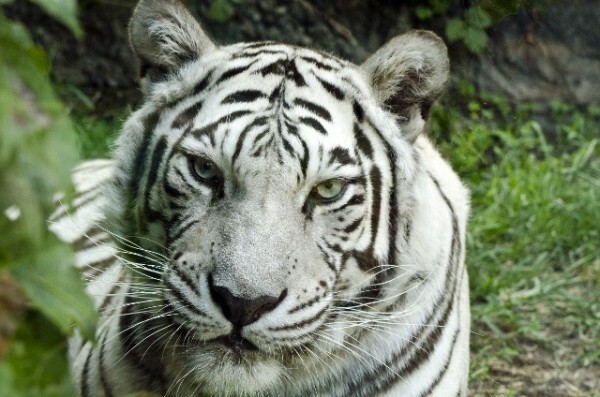 White Bengal tigers are a rare pigmentation variant, only seldom found among the species in the wild. Average life expectancy for the big cats is between 15 and 20 years.